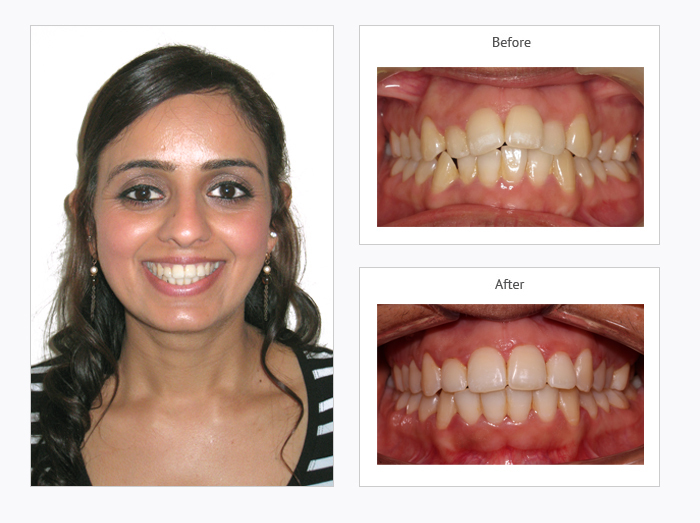 Do you want straight teeth and a more perfect smile quickly? Then look no further than Quick Straight Teeth™ braces from Smile Essential in Leicester! Do your crooked teeth stop you from smiling? Do you want your brace to be virtually invisible? Quick Straight Teeth™ in Leicester overcomes the major factors that stop people getting orthodontic treatment to straighten their teeth. Due to low laboratory fees and quick treatment times and prices, Quick Straight Teeth™ invisible braces from the talented dentists at Smile Essential are a cost-effective adult brace system, meaning you can get amazing clear braces that don't scrimp on quality or cost. The removable orthodontic appliances and clear fixed brackets are all made of transparent materials making them nearly invisible and giving you the ability to get affordable straight teeth fast without having to opt for visible, bulky metal braces. Most people will be unable to tell you are wearing Quick Straight Teeth™ invisible braces, making teeth straightening more discreet. As the name suggests, Quick Straight Teeth braces for teeth are fast! Treatment takes between 4 and 24 weeks depending on complexity. Quick Straight Teeth™ braces in Leicester cost little in time and money making straight teeth more affordable. Our adult braces and brackets have been designed to ensure optimum wearability and comfort for patients. Teeth straightening can treat a whole range of problems and orthodontic treatment helps improve your oral hygiene because straight teeth are easier to keep clean. A full assessment with one of our certified dentists will evaluate your teeth for suitability for Quick Straight Teeth™ braces and they will advise on treatment procedure, duration, benefits, risks and costs. We offer a free consultation for teeth straightening with Quick Straight Teeth™ braces, so, if you are considering this treatment and would like to find out more, please contact us today to book. Quick Straight Teeth™ at Smile Essential in Leicester are an affordable, comfortable and effective way of straightening your teeth to give you a more perfect smile. The invisible braces work by only concentrating on the front 6 to 8 teeth. Quick Straight Teeth™ braces for teeth can correct mild to moderate problems quickly, making them more affordable than similar options and more agreeable to patients. You needn't fear wearing our Q Fixed, teeth straightening, adult braces as Ugly Betty "train tracks" are not the look we go for! The Quick Straight Teeth™ invisible braces system uses only clear brackets and tooth coloured wire.